Pick this beauty up at the end November. Got round to cleaning it up over the weekend. Really digging the laser engraving and Chris King. Haven’t got any major plans for the groupset. I am thinking Campagnolo 11spd (5 Arm Chainset style) or maybe Sram or Ultegra. 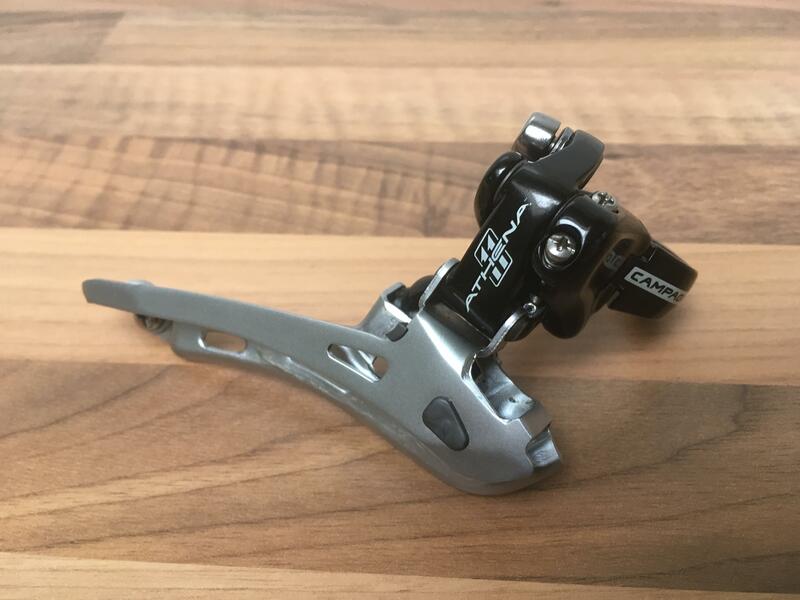 If anyone can recommend a Ti 1” Stem that would be fab. When I was 13 and started cycling (and knew nothing about bikes), there was a kid from another club that rode one of these in green with double spinergy wheels. He was so hip hop before the term even existed. 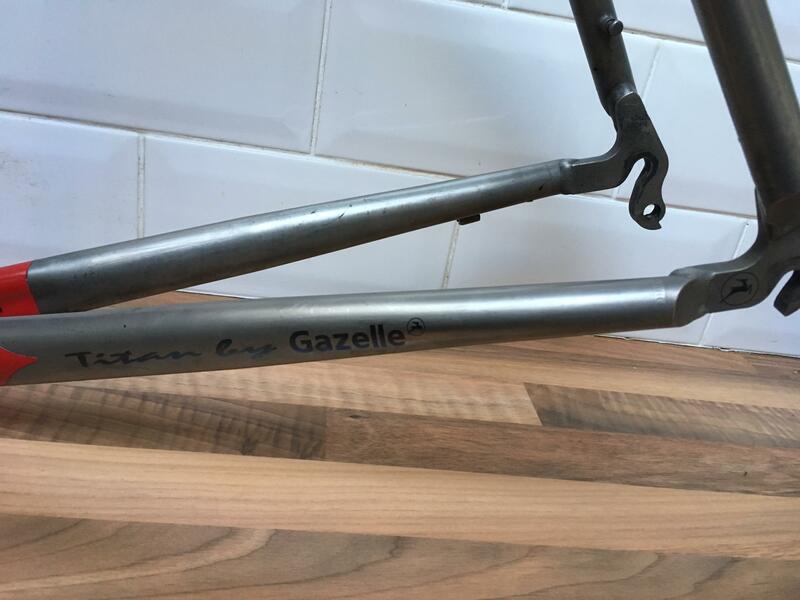 I never forgot that bike, but never knew it was a gazelle before I saw this thread. Your build sounds lovely. 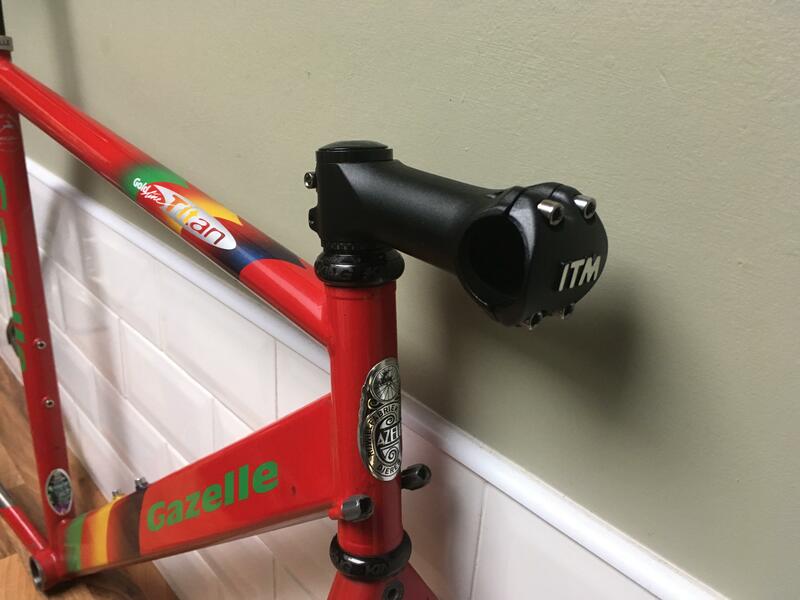 Can’t think of a TI stem that’s not a unicorn. But the ITM ones are pretty nice and same finish as the chainstays. Starting to think they might’ve come stock like that. I will just run a stem shim as I already have a nice ITM stem in my parts box. 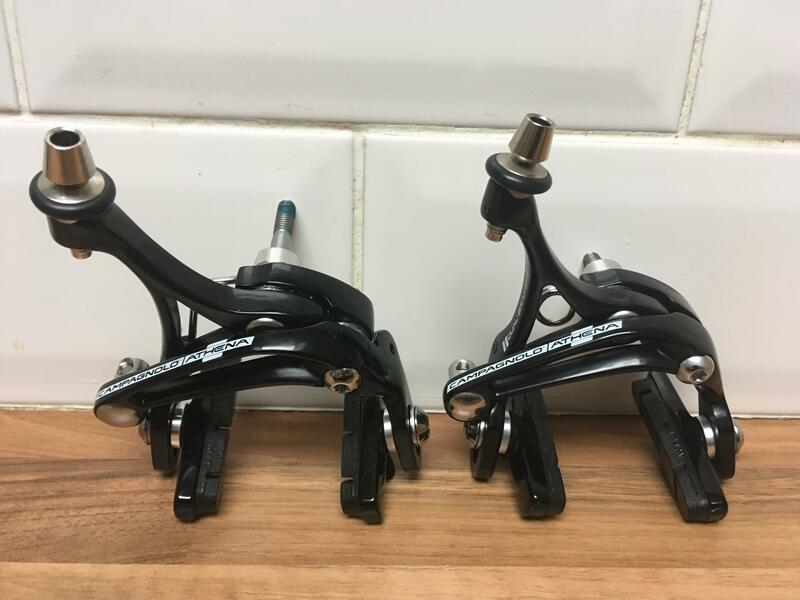 I think I will go with Zondas with Campagnolo Centaur / Athena groupset, with the possibility of going Chorus to get UT cranks setup. The ball has started to roll now, installed some parts from my bike box. 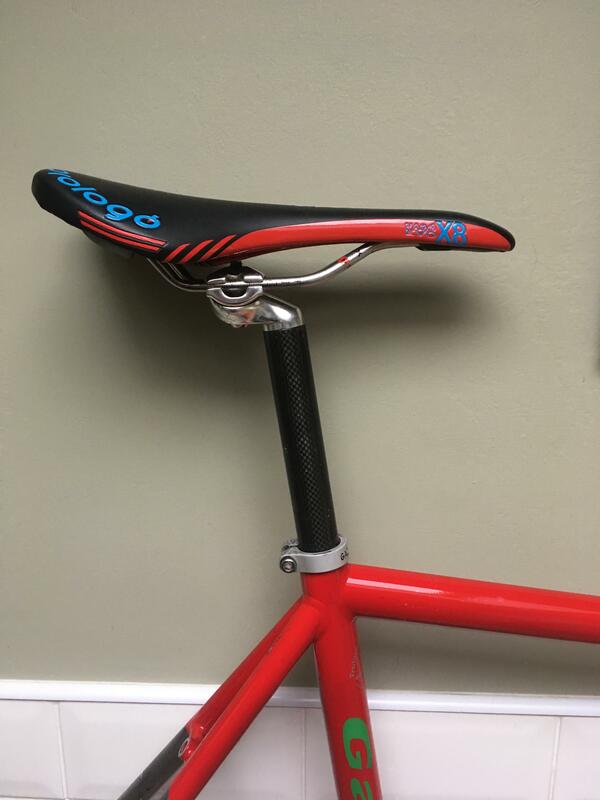 Prologo saddle which I will probably change at a later date. First of the Campagnolo Athena group arrived this morning. Love the look of Campagnolo Skelton brakes. Boom! Nice! Get yo self some ti finishing kit! Carbon rims and gumwalls!! Yeah!!! Zondas will be a great match. 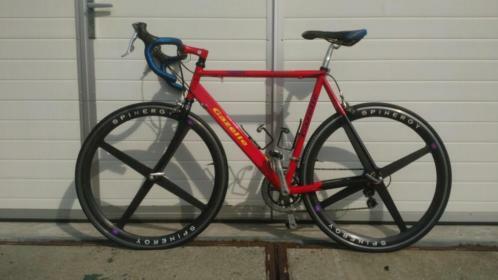 Needs Ergo bars (for 90s techno vibes). 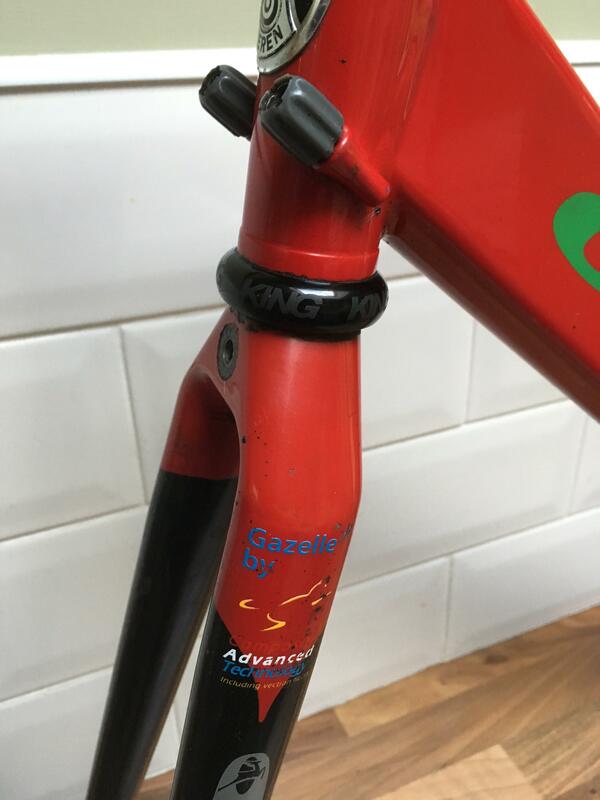 And what about a original Gazelle Goldline stem in the frame matching color? By the way, I have a complete 8 speed Athena group with zones wheels in very good condition. Ideally 100mm, but will take a 90-110mm. Ohh many days, an excellent example of teamwork. Interested to know the clamp bar size. 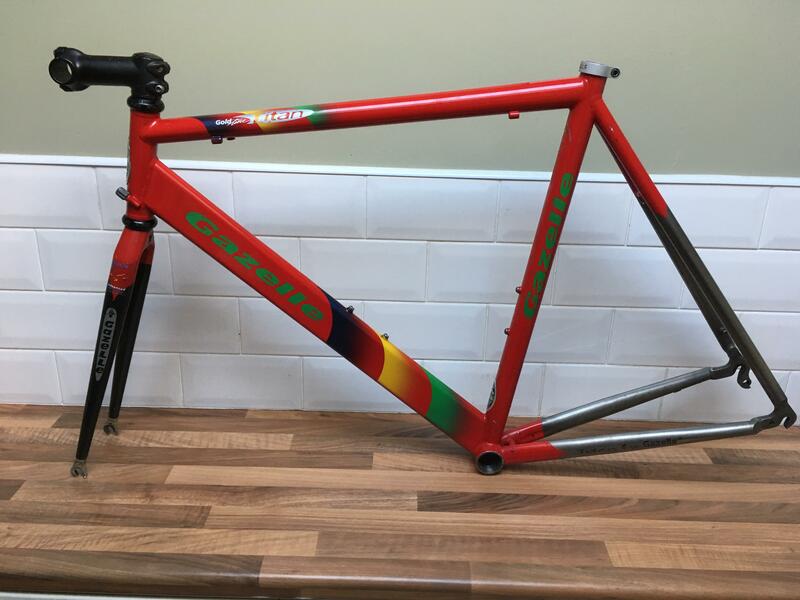 There is usually a red 110mm on eBay circa £50 but it’s not been relisted it seems, I’ll post a link if I spot it come back up - may be worth an offer? I can’t afford v*v*velo prices!! 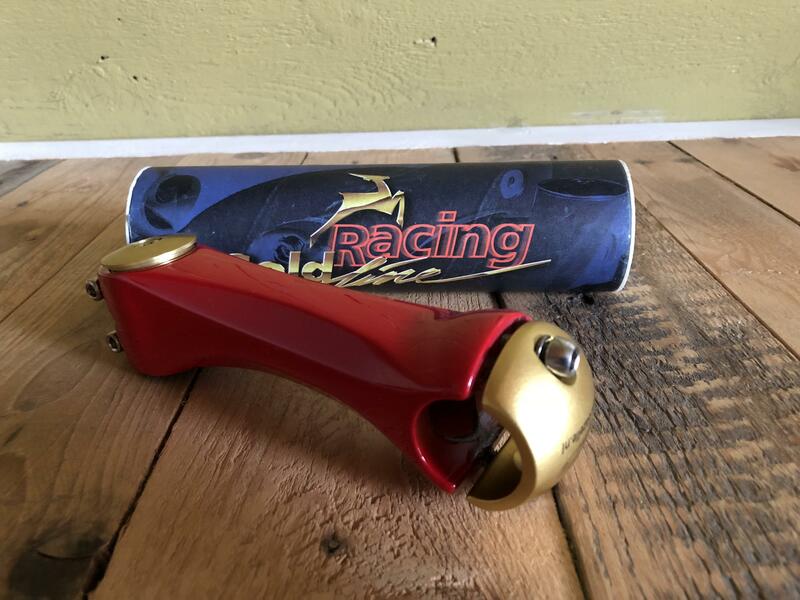 Price Gazelle goldline stem will be €20,- + shipping. Sizes follow. Sorry man - the pictures and info above hadn't refreshed when I posted that! If you've more than one in 110mm I know someone else who is after one!